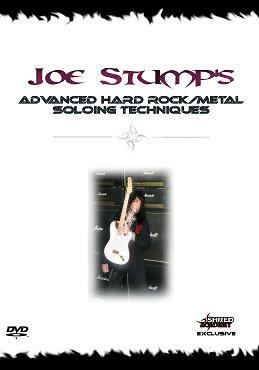 Joe Stump is back with a brand new 2-Disc DVD on advanced hard rock and metal soloing techniques! On Joe Stump`s new DVD, he takes you through 2 of his most intense solos, breaking down all of the techniques used in each one. 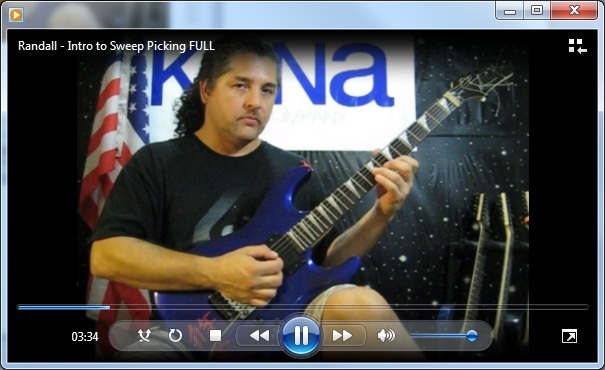 Sweep picking, alternate picking, economy picking, pedal tones, linear classically influenced playing, harmonic minor phrasing, bending , vibrato, it`s all contained in this 2 DVD set. Joe shows you how to use these techniques in a real playing context and also shows ways you can implement these ideas into your everyday practice regiment. Both playing-wise and in instructional content this is Joe`s most intense DVD to date.